Play this fantastic and highly addictive virtual world game that’s full of memorable moments. Meet many new friends as you make your way through the game and explore new places. Enjoy tons of different mini-games against live players and see who the better player is. Create your very own character and enter the world of Poptropica, a world that’s full of many different places to explore, many amazing people to meet, lots of mini-games to play. This is one of the most addictive virtual world games out there and once you fully get into it, you’ll probably never want to get out. One of Poptropica’s most impressive features is that it gives new players a really in-depth step-by-step tutorial when they start off to make sure that they don’t have any difficulty getting the hang of things. This is definitely one of the most detailed tutorials out there and will cover every single basic from start to finish. However, if you’re confident in your abilities and feel like you don’t need to go through it then the skip button is always available and this is something that veteran players will appreciate very much. The gameplay of Poptropica is pretty much endless. First off is the fact that the game world is absolutely massive and full of cool places to explore. In order to make exploration easier the game allows players to use the hot air balloon which is essentially Poptropica’s version of fast travel. You can use the balloon to go anywhere you want in the game world as long as you’re eligible to go there with a few simple clicks. The game’s highlight is definitely the fact that there are tons of mini-games to play. Mini-games are both single player and multiplayer. The multiplayer mini-games are fairly competitive as well which is great for the challenge seeking audience. Playing these games is very rewarding as well since they allow players to get their hands on in-game currency which can then be used in the shop to purchase many different kinds of apparel and other in-game content. 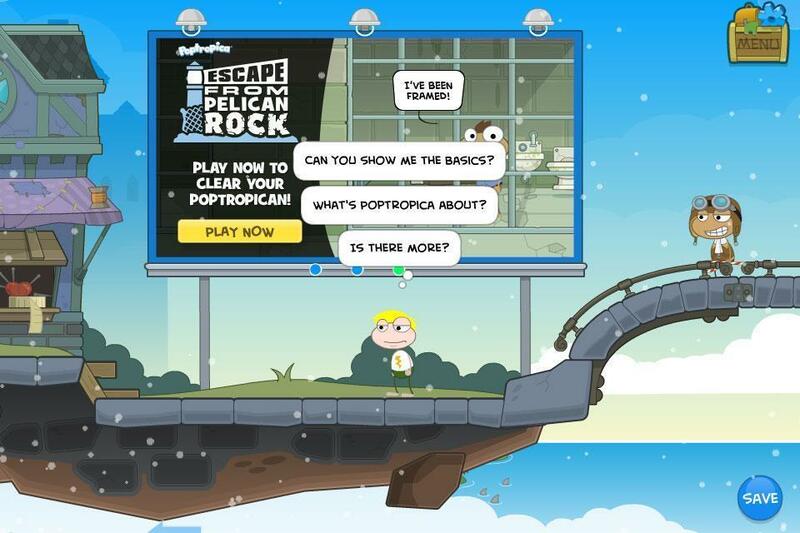 Poptropica features lots of great social features as well which will allow you to socialize with your fellow players. 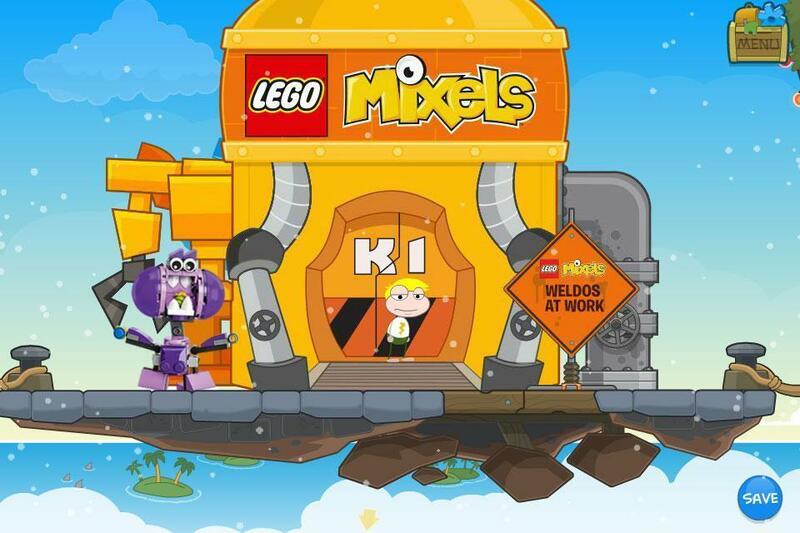 You’ll be able to chat, play mini-games or simply hang out if you want to. Onto the visuals, Poptropica’s art style is very unique and is exactly what sets it apart from other virtual world games. The animations are really cute and appealing, the color palette is bright, the character designs are weirdly intriguing and overall there’s just a lot to like about the way things look. The game is completely free to play which means that you can login whenever you want and hop right into the game world and enjoy tons of great moments alongside your fellow players. There is however a special in-game membership that can be purchased with real world money. This membership gives players access to a lot of great bonuses. 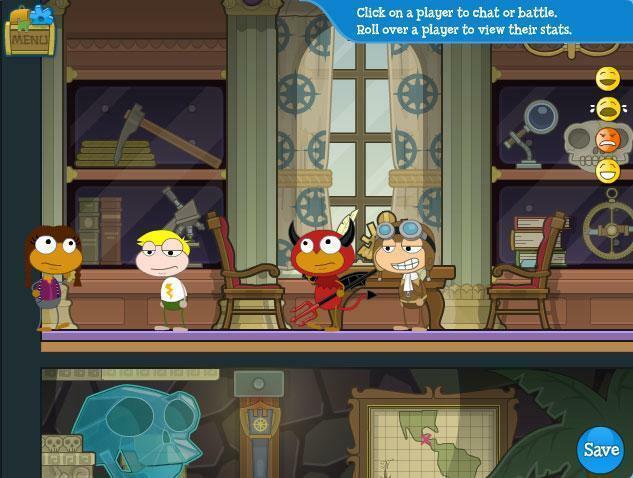 Poptropica is overall a really fun and addictive virtual world game that’s capable of delivering hours upon hours of fun.